It’s been ten years since Ellie disappeared, but Laurel has never given up hope of finding her daughter. And then one day a charming and charismatic stranger called Floyd walks into a café and sweeps Laurel off her feet. Before too long she’s staying the night at this house and being introduced to his nine year old daughter. Poppy is precocious and pretty – and meeting her completely takes Laurel’s breath away. Because Poppy is the spitting image of Ellie when she was that age. And now all those unanswered questions that have haunted Laurel come flooding back. What happened to Ellie? Where did she go? Who still has secrets to hide? My take: 3.5 out of 5. One of my favorite things of travelling to London is buying books. Since my Amazon account is US-based, I only get releases in US schedule. However most of my favorite Chick Lit authors are from the UK and therefore being able to buy the paperback at the airport gives me months advance in terms of reading. This happened with this book, as it did with the previous Lisa Jewell book i wrote about! (basically Thumbs up for WHSmith at Heathrow airport). Now, lets talk about the book. I actually really enjoyed this book. It was a ridiculous easy read, I finished it in a day an a half with many interruptions. It is interesting because once I was reading it I kept thinking that I of course knew what the mystery was and that it was so obvious (because the blurbs do say a lot) however you can guess 90% of the things, but there is still a 10% turn of events that totally come from nowhere. A good summer book, engaging and with the combination of the moment: romance and mystery. 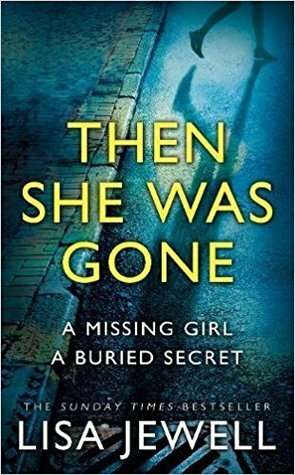 It’s the new magic formula: Lianne Moriarty, Paula Hawkins and now Lisa Jewell. Does she do it better than them, not really, but its still a great book. I was expecting it to be more chick lit, but its actually much more than that, I think even guys would like this one.